Following the strategic dialogue after three-year hiatus, where U.S.-Pakistan relations have remained perched at a critical yet precarious impasse. Despite discussing all the details as being briefed marvelously by few experts, there’s a shell game going on in which Pakistan has been beset by the twin menace of radicalization and terrorism since 9/11. Sandwiched between these events of counter terrorism since 9/11, the looping lessons of this journey in the special context of Operation Zarb-e-Azab, a reality often dwarfs the best efforts to contain the menace, being less prayed. Thus far, the government has stood its ground in all cases throughout the period. The complete elimination of terrorism may not be possible, but adequate containment is the path being followed. This shrewd and incomprehensive propaganda against Pakistan about their usage of jets against terrorist having limited value is candidly exposed in a failed attempt by Republican Senator Rand Paul and Indian counter parts to block the sale of F-16s. Nonetheless, huge challenges for counterterrorism in the future will include coordination which will help Pakistan to improve its efforts further for cutting out this menace. Helping Pakistan improve the security of it as a strategic partner will secure United States foreign policy objectives and national security. 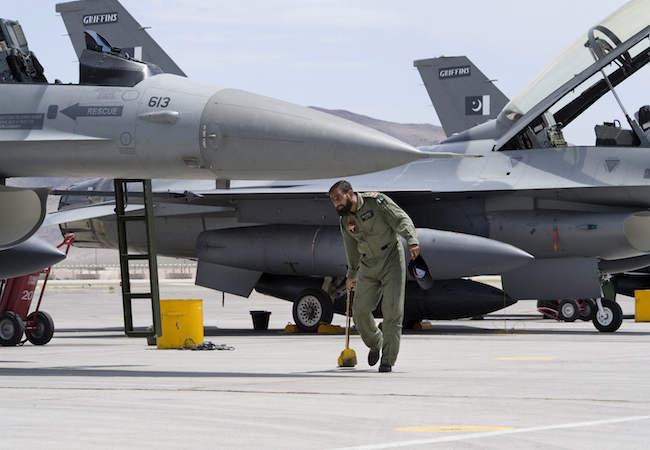 The United States has approved selling eight Lockheed Martin F-16 fighter jets to Pakistan, along with training, radar and other equipment, worth a total of $699m. This decision of selling F-16s will recover both partners’ efforts to meet future security threats. Notwithstanding, the pressure and the strong protest cynics has lodged against the sale pouring cold water on the idea, where these jets are more useful to Pakistan in its long confrontation with counter-terrorism and counter-insurgency operations. With Pakistan’s proven past and present successful operations against militant groups, this effort of selling jets to Pakistan is the right podium to support Pakistan in its countering efforts against the jihadist and terrorists. Perhaps this is getting a little ahead of the game, but it’s worth mentioning as Pakistan expressed surprise over the Indian concern of the sale as Lockheed Martin offers India to produce more advanced version of the jets than those chosen for Pakistan. These unreasonable protests are nothing more than trying to create a narrative against Pakistan, while silently screaming to bag a same deal for them. More importantly, instead of making such exaggerated claims Pakistan remains far behind in its Air force capability as far as numbers are concerned despite PAF’s strategic expansion and upgrade. They have a six time bigger force quantitatively vis-a-vis what Pakistan has. Moreover, India has ordered 126 Rafale jets from France which can be a source of concern. Here’s why I’m allowing myself some optimism. Perceptibly, with the inclusion of this new squadron of F-16s, the success of these operations in past, present and in the future will not be a distant dream. It will serve not only the national interests of Pakistan, but those of the United States, NATO, and Asian region as a whole. Subsequently, it’s high time to start rewarding and providing help to Pakistan who is holding its feet in the fire, with state of the art weaponry to use in this ongoing war on terror. At the very least, serious political resistance came against Pakistan, but what this really comes down to—what it always comes down to—Pakistan is a resilient nation, and will overcome these problems in due course.